NOSE: Forget the hops…this is a malt-bomb even before it gets cask-conditioned. After sitting in the barrel, the nose is pure sweetness. Roasted malt, chocolate, toffee, molasses, and buckets of caramel. TASTE: Somehow the taste is even sweeter than the nose implies. Huge, rich, robust notes of bittersweet chocolate and espresso beans with a nice, faint vanilla flavor in the finish. MOUTHFEEL: A little thin-bodied to be sure, but thanks to the cask, it drinks creamy and fuller than a standard draft version would. DRINKABILITY: Casks can make mediocre beers good and good beers great. This is probably the former. I suspect on tap I wouldn’t have enjoyed it much, but on the cask it was a beauty. Wifey McHops loved the rich, malty flavor and only allowed me a few sips. 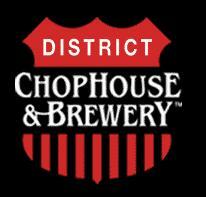 Posted in Tasting Notes.Tagged Churchkey, District ChopHouse, Nut Brown Ale, Washington DC.